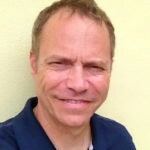 Jeff is assistant editor for Baptist News Global. He is based in Jacksonville, Fla. If Amish and Baptists singing hymns together in rural Appalachia isn’t an expression of Christian unity, Joshua Hearne says, nothing is. A clothing company launched to help refugee artisans find work has created a nonprofit organization to help displaced persons, including human trafficking victims, meet the challenges of living in the U.S.